19 others remain on the run from the Barra de Grota prison. POLICE IN BRAZIL have killed nine escaped inmates and are hunting 19 others after a jailbreak in the central north of the country during which prisoners took a teacher and guards hostage, authorities said. 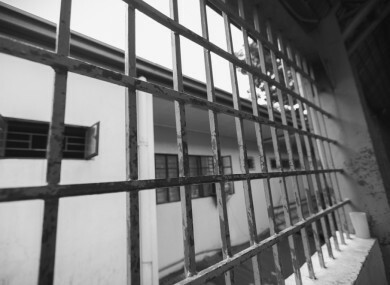 A total of 28 convicts fled the Barra de Grota prison in the town of Araguaina late last night, running away to nearby woodland, regional security officials said in a statement today. They had grabbed the female teacher and three guards while attending a prison class and used the guards’ weapons to force their way out. Two of the guards were released as military and local police pursued the inmates, but the 43-year-old teacher and a 27-year-old male guard remained hostage. The nine prisoners “died after clashing with police in a wood near the prison,” the statement said, without giving details. The Barra de Grota penitentiary was holding 493 prisoners before the jailbreak, slightly more than the 480 it was designed for. Brazil has the third-biggest prison population in the world, after the United States and China. Overcrowding is a problem, and escapes, riots and score-settling are common. Email “Nine fatally shot by police in escape from Brazilian jail”. Feedback on “Nine fatally shot by police in escape from Brazilian jail”.